After the user enters the toll booth, the pass card is handed over to the toll collector to determine the toll amount, and open the payment code in WeChat Pay. After hearing the voice prompt, the payment code is aligned with any barcode reader, and the whole process takes only about 5 seconds to complete the payment. It will improve the efficiency of highway traffic to implement WeChat scan code payment which can enhance the experience of drivers and passengers to make it easier for the public to travel and relieve the high-speed traffic pressure. Rakinda, a leading manufacturer, whose RD4500R fixed mount QR code scanner tailored for screen and printed barcode. It can read qr code even quickly if in low brightness. And we have lots of successful application cases which will help you solve problems. Have any interests, please don’t hesitate to contact us. Highway toll, Parking LOT, Auto vending kiosk, turnstile, access control system, ATM kiosk etc. Rakinda is located in Shenzhen Lilang Industrial Park, initially established in 2000. 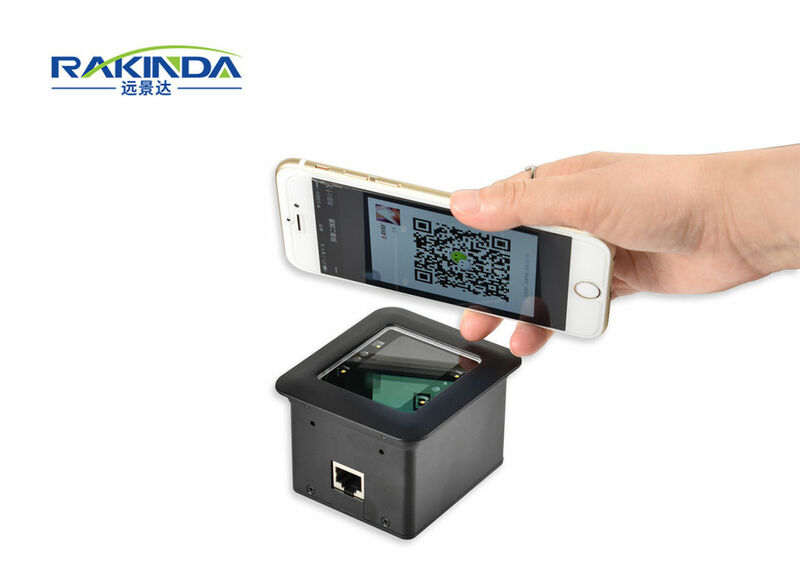 Rakinda is a prestigious high-tech company specializing in designing, developing and manufacturing barcode scan instruments including OEM barcode scan engine, desktop barcode scanner, handheld barcode scanners, cordless barcode scanners, image platform, android data terminal, etc. The application domains are manufacturing, retailing, postage, logistic and medical services, etc. Q1: Can I get some samples? Are they free? A1: We support 1pc sample order. Samples should be paid. Q2: Can I get extra cables for the scanners? A2: Yes you can. We will provide according to your request. Q3: How can I buy? A3: We are trade assurance supplier at Alibaba. You can start online order directly. Or pls contact us first according to the contact info. We will send you proper link directly. Q4: What is your payment method? A4: We accept online credit card, TT, Paypal, Western Union. A5: Yes, you are warmly welcome. Q7: Where can we download the user manual of the scanners? A7: We will send by email after you get samples. Q8: What's the lead time? A8: For sample, it is typically within 3 days. For bulk order, it depends on quantity and model you order. Q9: Can you provide OEM service? A9: Yes. We need further discuss about details. Q10: How do you ship the scanners usually? A10: Since it is light and compact, we usually use DHL, UPS, Fedex, TNT and post air mail.